The Pasta House Company Fettuccine Alfredo is delicious and it is easy to make. You don’t have to search for any special ingredients to make an Alfredo sauce that tastes just like it came out of a restaurant. 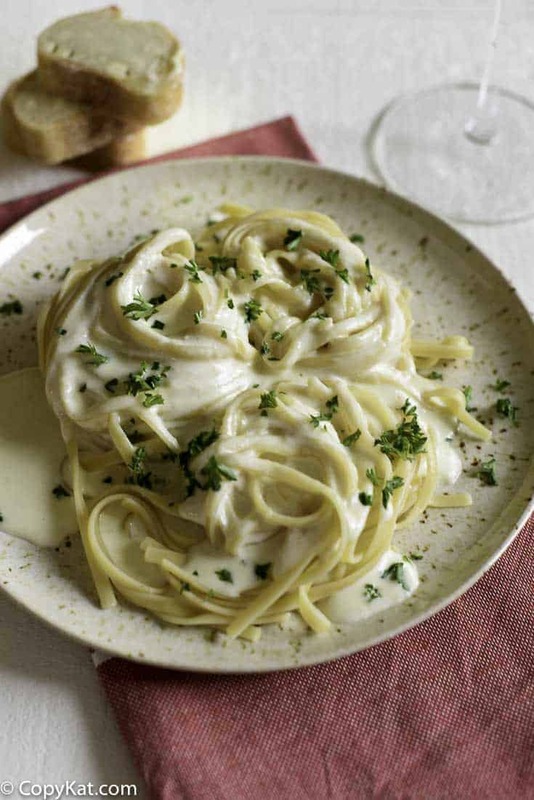 Make the Pasta House Fettuccine Alfredo at home with this copycat recipe. Cook noodles in salted water until 3/4 done; strain off water and put noodles back in pot. Add cream and butter. Bring to a hard boil. When noodles are fully cooked, removed from heat; add parmigiano cheese and cracked black pepper. Toss and serve. Do you have a recipe for the pasta house lasagna? We ate there when my husband drove a truck years ago. I got your recipe for there house salad. Thank you so much I just found you today.